Food sensitivities and food allergies are caused by a reaction to a particular ingredient. The most common allergens are usually proteins, with fish and chicken being two of the most common causes. Grains, especially corn, and dairy products can also cause problems. An allergy can develop to any protein to which the cat is repeatedly or constantly exposed. Sometimes, allergies develop over time. Once an allergy has developed, it may last for the cat’s life. Food allergies may manifest as itchy skin, rashes or excessive grooming, or as digestive symptoms, including vomiting or diarrhea. Digestive symptoms often mimic those of inflammatory bowel disease. Food allergies are diagnosed by conducting an elimination diet trial. There are currently two approaches for these trials: a novel protein diet, or a hypoallergenic diet. Novel protein diets used in a food elimination trial must contain a protein that the cat has not previously been exposed to. Unfortunately, with pet food manufacturers coming up with ever more exotic diets, it is becoming increasingly difficult to find a truly novel protein. In the past, novel protein diets were venison, rabbit or duck based, but depending on what your cat has been eating, you may need to find more unusual proteins such as pheasant, kangaroo or brushtail. There are several hypoallergenic diets on the market, available only from your veterinarian. These prescription diets are made from hydrolyzed proteins. They use a conventional protein source like chicken, but the protein is broken down into molecules too small to stimulate the immune system. These diets are highly processed, and only one is available in canned form. All contain by-products and fillers. With both methods, the new diet needs to be fed exclusively for a minimum of 12 weeks. This means no treats, unless they contain only the same novel or hydrolyzed protein. If you’re giving supplements, make sure to check the ingredient list. Many pet supplements have chicken or beef flavoring added. If you give medication with pill pockets, you will need to find an alternate method of giving your cat’s medication. If a food allergy is present, cats will start responding to the elimination diet within four to six weeks, but it is important to continue the trial for the full 12 weeks. If the trial is considered successful, cat guardians are asked to return to the food that was fed before the trial. If symptoms return on the old diet, this confirms the presence of a food allergy. Understandably, many cat guardians won’t be willing to go back to the original diet to confirm an allergy if they’re seeing an improvement or complete resolution of their cat’s symptoms, and cats can stay on these novel protein or hypoallergenic diets indefinitely. Cat guardians who would prefer a more natural approach can use raw or home cooked diets using novel proteins for the food elimination trial, or as a long term solution. Work with your holistic veterinarian to determine the best approach for your cat. Some cat guardians have been able to resolve food allergies by simply switching to a raw diet even without the use of novel proteins. Homeopathic remedies, as prescribed by a veterinarian who is trained in the modality, can help strengthen the immune system so it will no longer react to the substance causing the allergies. I do not recommend commercial homeopathic remedy blends as they often contain multiple remedies that have completely opposite actions. Spirit Essences Skin Soother can provide relief from the itching and anxiety that can go along with allergies and can help balance the cat’s energy system. Diagnosing and treating food allergies can be a lengthy and sometimes frustrating process, and finding a solution can take time and patience. 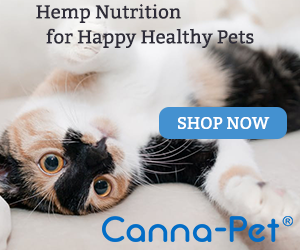 If you keep reading about the healthiest food for cats you’ll get so many different opinions from vets or sites that rate the different brands of cat food. Some are for raw while others prefer cooked cat food. The only thing everyone seems to agree on is that cats need protein, a little vegetables, minerals and no grains. I just kept reading about the healthiest organic cat food available. Unfortunately, many have had recalls. Extremely​ frustrating. My cat won’t even touch his prescription protein allergy can catfood. I try to get a can food that he can tolerate without getting sick. However, Blu usually gets sick before eating which is strange. He is doing much better since he is on Priolsec but he cannot take that forever. Ug! Thank you for the informative post. I have pet cats and your post has been pretty helpful in understanding the problems of food allergies among pets and the treatment for the same. It is essential to keep a check on your pet’s diet and be careful enough to notice any behavioral changes or other symptoms in them, so that you know what causes the food allergy or food intolerance and change their diet accordingly, take precaution, and treat them. Thanks for the post. I have a kitty with food allergies.